In any endeavor, it’s impossible to know how far you’ve come without being able to track your progress. This is why businesses need to track income and expenses to keep an eye on profits, and it’s also why those who are serious about getting and staying healthy may want to use a fitness tracker to measure their progress. There are a number of excellent fitness trackers on the market that track a myriad of health stats while you are working out. One of the most important of these is heart rate, and that is why all of the monitors that will be talked about here will have this essential feature. Aside from this basic capability, they vary with regard to numerous other factors that will be explored in looking at 10 of the better fitness trackers on the market. Perhaps the most powerful benefit of this fitness activity tracking bracelet is right in its name. It is waterproof, which is a great benefit to those who may not let a little rain interfere with their daily jog. In addition to basic heart rate, which is measured by this stand-alone fitness bracelet, the addition of the app that comes with it enables you to measure something called heart rate variability. This is a fairly new biomarker for determining overall health. This app, which lets you sync the data with your smartphone, will also enable you to know your stress and fatigue levels as well as when you burn out. This gadget is more on the high end in terms of price, but it looks like an excellent option for someone who wants a fitness tracker and so much more. This is more of a full-blown smartwatch with a high resolution touchscreen that is readable in sunlight and has an impressive eight day battery life when the GPS is not in use. You can measure your progress toward goals, and you can set it to receive smart notifications from your other mobile devices. 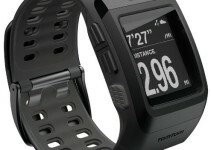 It is water resistant and has built-in sports apps for biking, swimming, running and skiing just to name a few. Its overall look and functionality can be increased with an available selection of over 1,300 apps. Fitbit is probably the biggest name in wearable fitness tracking products on the market today. 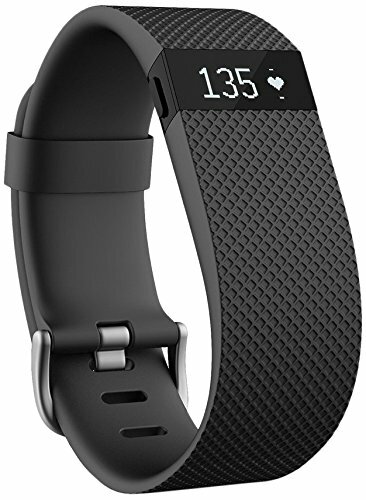 This particular Fitbit offering comes in near the top of their line up of fitness monitoring bands and gadgets and does include heart rate monitoring capability. In addition to this, it enables you to count calories burned, steps taken, floors climbed, distance covered and your total active minutes. It is also made to be comfortable enough to wear to bed where it will monitor your sleep and wake you with a silent alarm. To top all of this off, with the Fitbit Charge HR, you can wirelessly sync all your health and workout stats to your computer or to just about any smartphone. 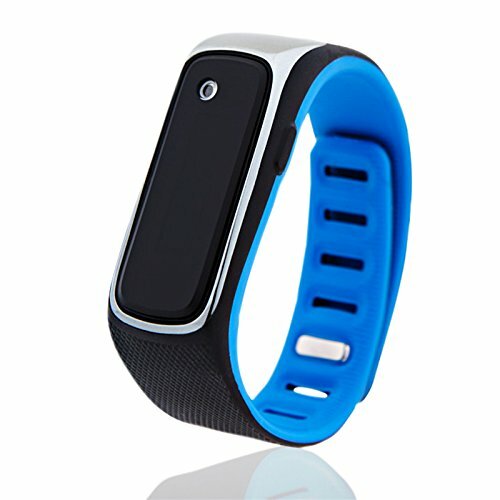 This wristband has built-in activity tracking for the specific activities of golfing, walking, hiking running or biking and measures stats such as speed, distance, body temperature, calories burned and, of course, heart rate. It syncs with an app called Croise, which has urban, extreme and measure modes built-in, and there is a switch to select between these modes. In addition to measuring activity, it also monitors sleep. It has a large OLED screen for this type of device, which makes it easier to see your stats while you’re sweating your way to a healthier you. 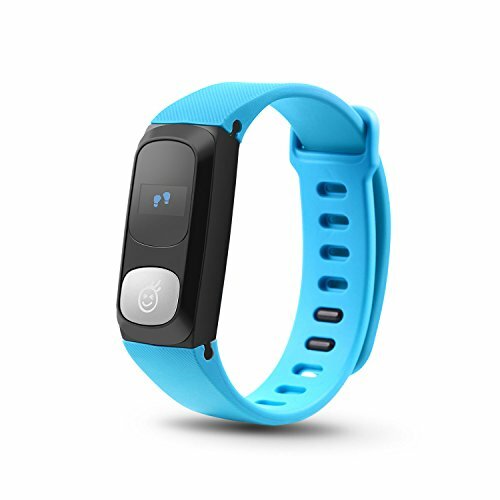 This fitness tracking wristband is compatible with all types of Bluetooth capable devices so you can transfer your data with ease. It incorporates a waterproof heart rate monitor and can last up to 7 days of use. In addition to the basic stats such as calories, steps and distance, it also vibrates when you have an incoming call. 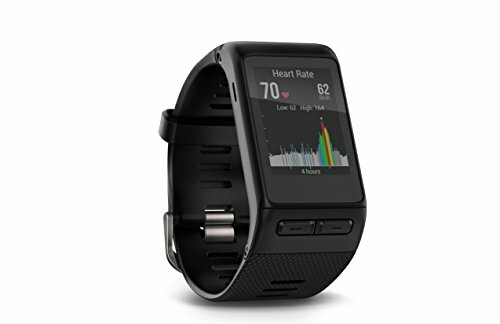 This may not be as stand-alone a fitness tracker as the Garmin Vivoactive HR GPS Smart Watch, for example, because it does work with either an android or IOS iphone. Most people considering such a device, however, probably already have one of these smartphones anyway, and the Luoov Brand Smart Bracelet is one of the most affordable trackers on this list. This is another highly affordable option on this list of recommended fitness trackers with heart rate monitor functionality. Visually, this one looks more like a traditional watch, compared to some of the others, until you look at the screen where it can switch between a wealth of information beyond just time and date. There are plenty of holes in the wristband to make it suitable for a wide variety of wrist sizes. It is more basic in that it has no Bluetooth capability and so cannot sync with other devices, but it is sufficient for most to be able to measure the critical health stats during their workouts such as calories, steps, distance and a few others. While this tracker misses some of the functionality of others, such as the ability to track foot steps, it also has some features that may be appreciated that some others don’t. For instance, it uses replaceable batteries. As with most phones, most smartwatch and fitness tracking wristbands come with rechargeable batteries. If you are going to be out in the middle of nowhere for a while, however, such as when hiking, the ability to just pop in a new battery will be appreciated. It can also measure your heart rate while in water, which many others cannot do. 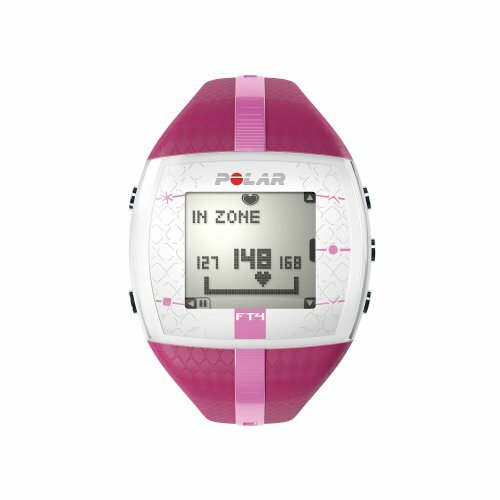 The Polar FT4 can connect to gym equipment that uses the GymLink connectivity solution. This affordable fitness tracker boasts more accurate heart rate measurements because the sensor is in an adjustable strap around your chest. It syncs with iPhones and select Android devices, and because of low energy consumption, a small firmware battery is enough for over a year. This monitor works with all the popular fitness apps such as Edmondo, Map My Run and Runkeeper. 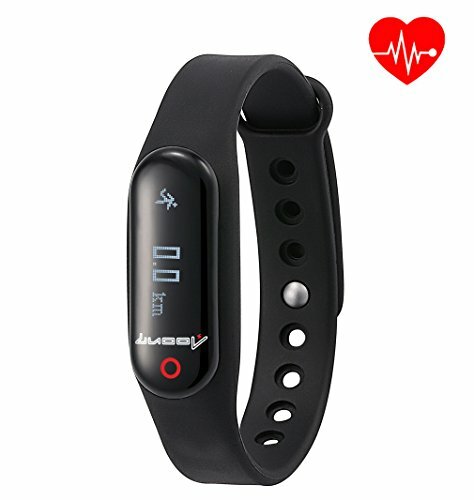 This accurate heart rate monitor comes in different sizes for both men and women, and any physical activity can be tracked according to your age, skill level, fitness level and the results you desire. 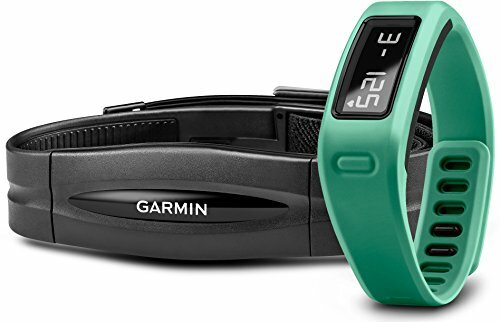 A more affordable entry from Garmin than their Vivoactive HR GPS Smart Watch, this fitness tracker is a stylish and comfortable wristband with an easy to read display. Instead of merely tracking your fitness and giving you stats about your body during exercise, it actually motivates you to get active by displaying a red move bar after you have been inactive for over an hour. 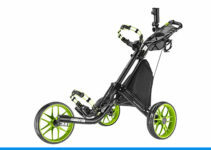 It is very efficient and can stay on for more than a year before the battery needs to be changed. This intelligent gadget learns your fitness habits and creates new goals based on what you have previously achieved. It is light and comfortable enough to wear to bed, which is a good thing because it tracks the quality of your rest as well. 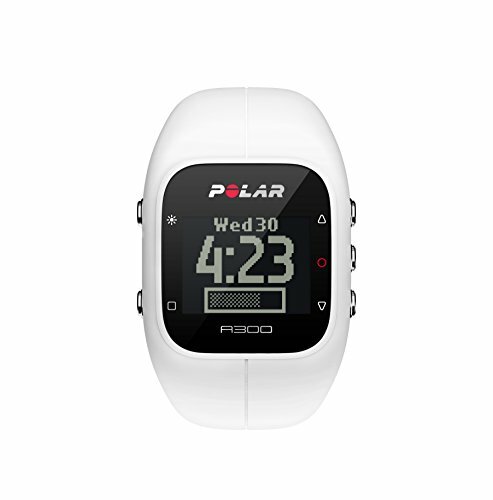 The Polar A300 not only shows you your daily activity goal, but it also guides you on how to achieve it. With a 4.9 out of 5 star rating on amazon, people who have tried this amazing gadget clearly like it. It can monitor your body 24/7 while both exercising and sleeping. It makes monitoring your real-time heart rate and numerous other stats while exercising a breeze. 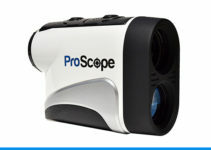 Users have noted that the product is user friendly and that the display is easy to read. Sync it to apps on your smartphone to add to its usefulness, and get all the data you need to achieve your fitness goals.